If you do ever drive through a safari park filled with ferocious animals, make sure the car's doors are locked else you might be in for a little surprise. Don't get what I mean? 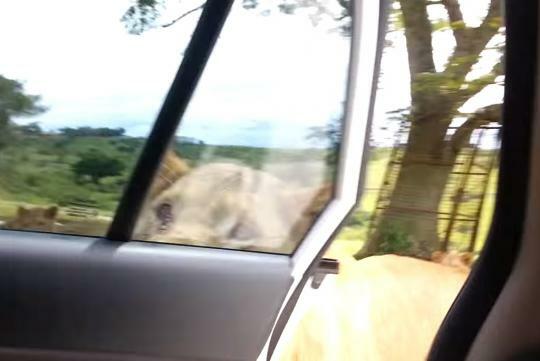 Watch the video below and see how a female lion approached this family's car before managing to open the passenger door of the car. Luckily, the women managed to react quickly and slammed the door shut before they turned into 'meals on wheels'. No, it's the humans are that too stupid not to lock the doors.